SHARE Pretty gold paddle fans are a practical favor for your garden theme wedding. 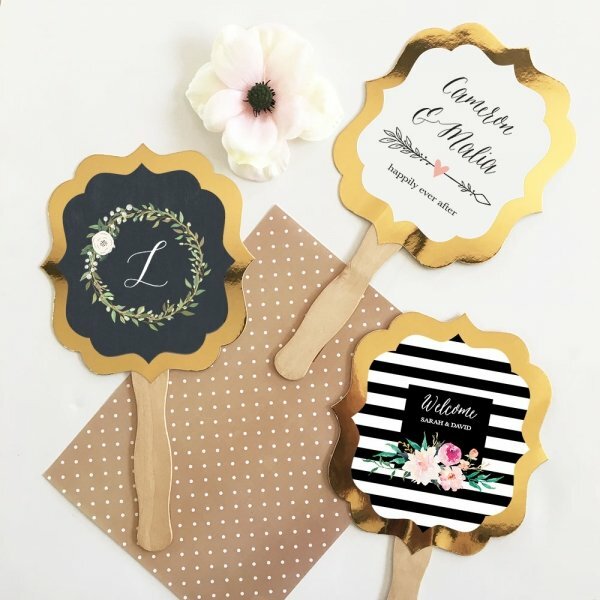 Metallic gold paddle fans can be personalized with one of our rustic color options, styles, and two lines of personalized text. For an added touch of style, dress them up with ribbons or decorative twine (not included). 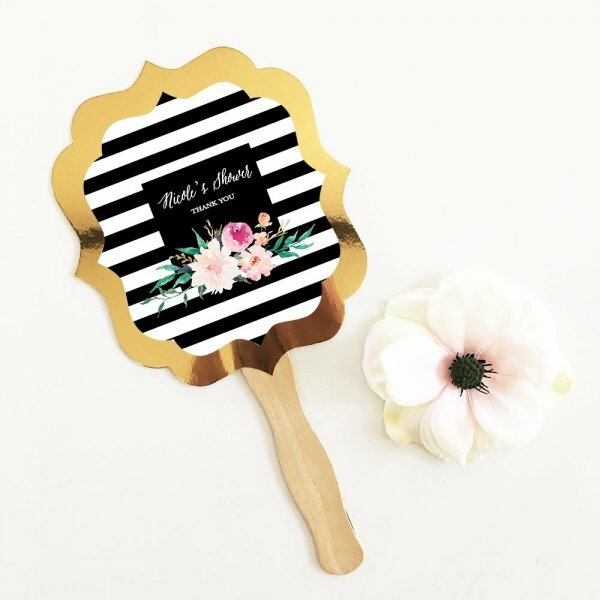 Note: Personalized labels are for ONE side of the paddle fans only. The other side will be gold. 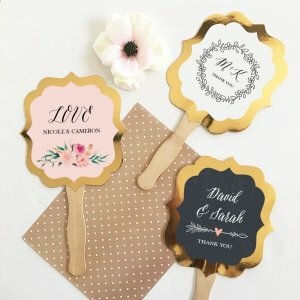 Can these fans be personalized? Can we change the color? 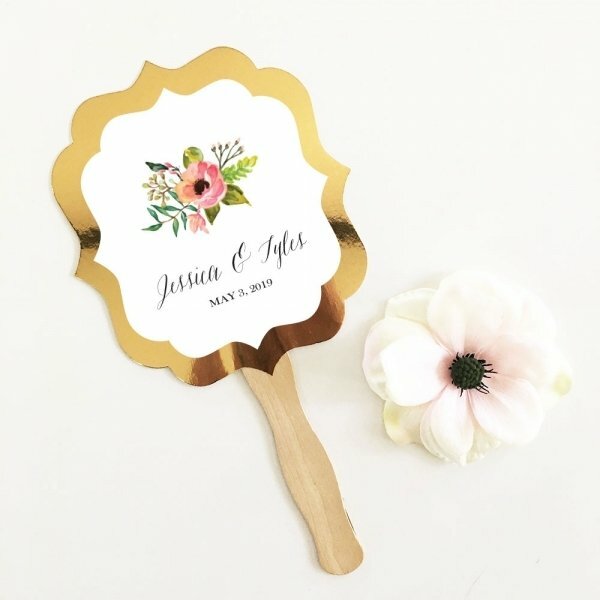 Once you have added the Personalized Floral Garden Gold Paddle Fans in your shopping cart, you wll have to enter the ship to then complete the personalization info. You will have your choice of style , color and 2 lines of text. You do not get to change the font. 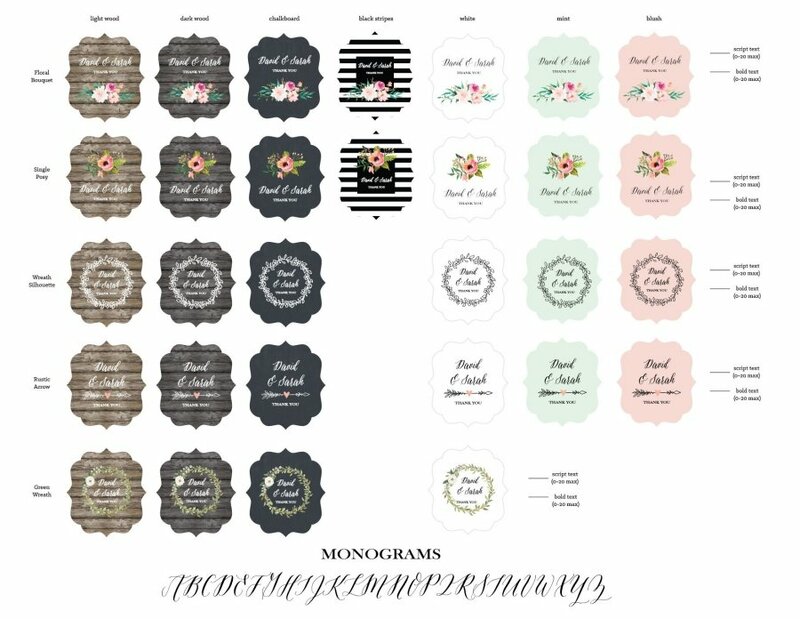 font is the same as the sample design photo.